As residents and businesses begin the long road to recovery, the medical staff of Coastal Internal Medicine, located in Panama City Beach, decided to do more to help their community. To help those who lost everything, Coastal Internal Medicine turned their office into a free clinic. Locals can visit Coastal Internal Medicine to collect much-needed medicines and health supplies without a prescription. Today, a plane loaded with relief supplies departed MAP’s Global Distribution Center in Brunswick, Georgia. 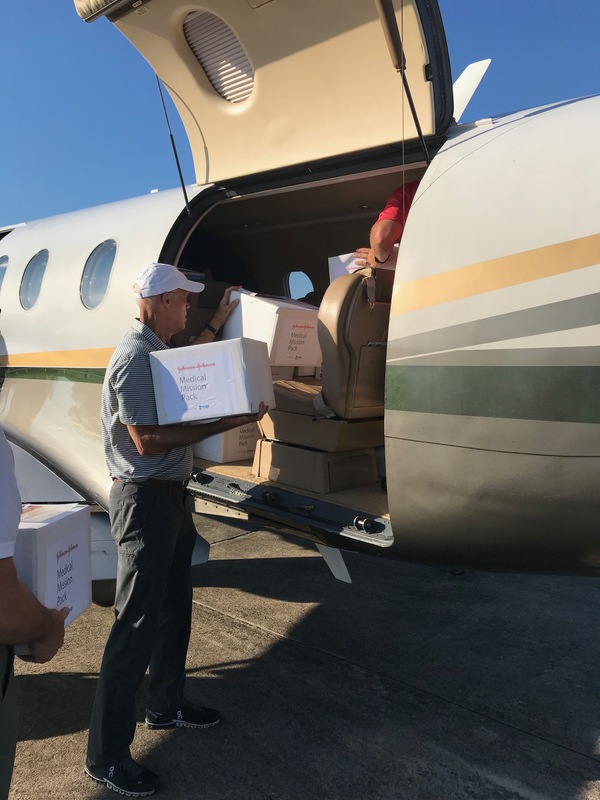 Loaded with 30 of MAP’s Johnson & Johnson (J&J) Medical Mission Packs and Ethicon sutures, the plane delivered these packs to Coastal Internal Medicine’s clinic in Panama City. Each J&J pack contains over-the-counter medicines including much-needed Band-Aids, analgesics, gauze, multivitamins and other health supplies designed to prevent the spread of illness. Combined with the injury-treatment products offered by 3M including bandages, braces and supports, the supplies will benefit more than 1,000 patients being cared for at the clinic. 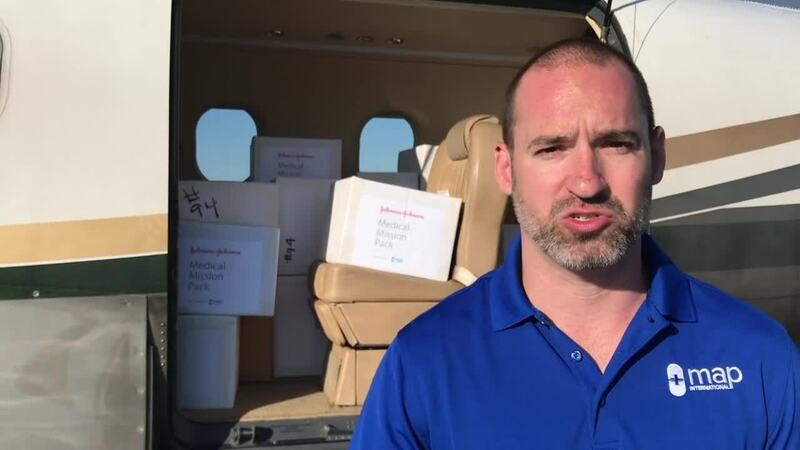 Listen to MAP's Director of Disaster Relief, Jason Elliott, describe the airlift coordinated by Operation Air Drop and Windstorm Mitigation. There are many miracles, both large and small that invariably follow a disaster. The employees of Coastal Internal Medicine are a blessing and a miracle to many following Michael. Please pray for the people who have been impacted by Hurricane Michael. Thank you for all you have done for MAP International and those we serve.